This season was Blanc’s first visit to Barcelona Fashion Week, and it was one we won’t forget. Not only were they showcasing several designers we have been eagerly watching over recent seasons; the added allure of sunshine, sangria, and Gaudi’s magical architecture made this trip a no-brainer. The actual show space for Barcelona Fashion Week is one of the most special across any on the global fashion calendar. The world heritage site Hospital de Sant Pau was a fully functioning hospital until June 2009, designed by the renowned modernist architect Lluís Domènech i Montaner; it was the hospital in which Gaudi spent his last days but is now both a museum and Cultural Centre. Although the idea of attending shows in an old hospital might not sound overly appealing and possibly eery, it couldn’t have been further from this. The sun shone for the entire four days on the beautiful pavilion buildings with characteristic yellow and blue tiles. Even the swarms of street-style fashionistas donned head to toe in black were cracking smiles. 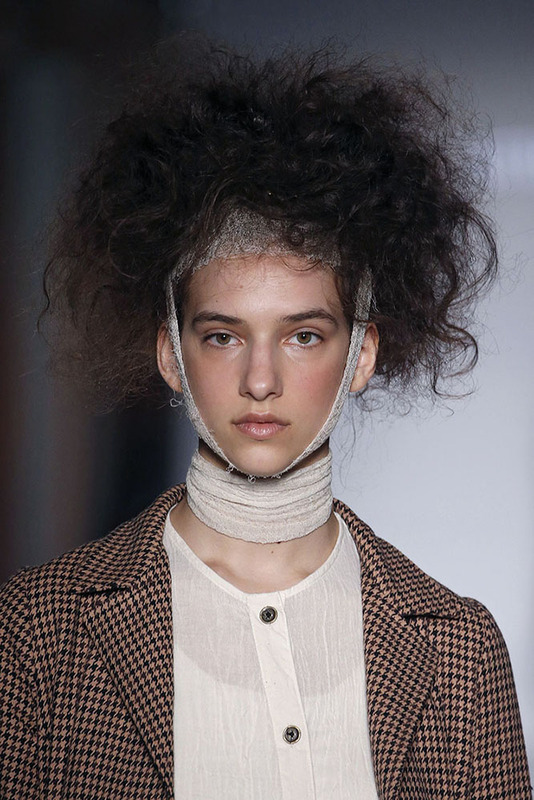 The schedule of the shows in Barcelona was a mixture of womenswear and menswear alternating randomly on each day, and mainly featuring mixed gender shows. 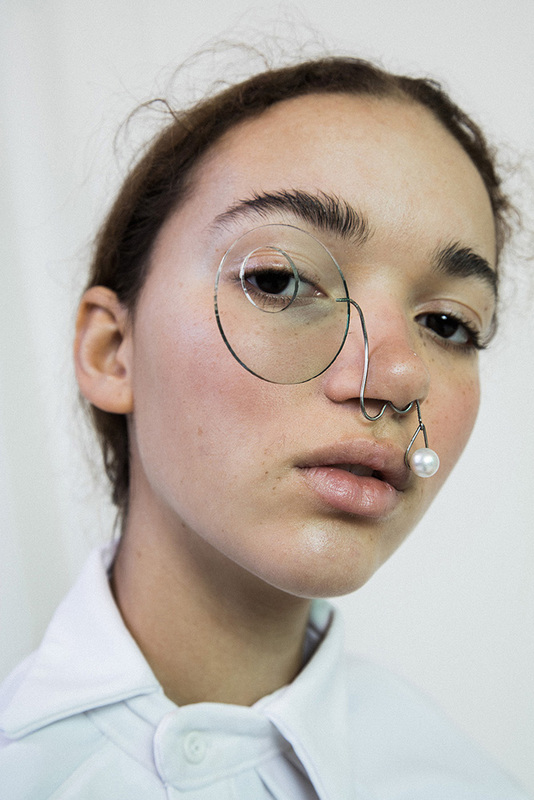 We saw shows from more established designers in Spain who have shown in Barcelona for many seasons, newer emerging Spanish designers and also guest shows from brands who are based in other cities across the world – including those who have previously shown in Paris, London and Milan. 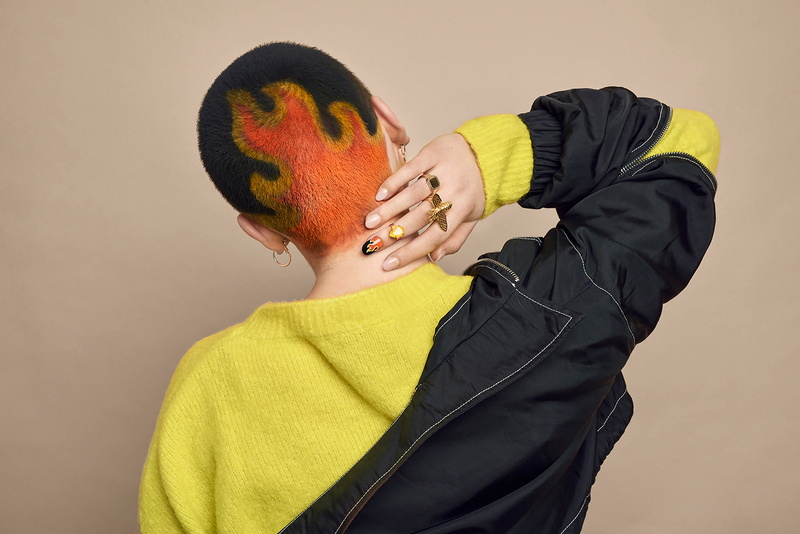 There were a few stand-out shows, and the four-day event closed with an Awards Ceremony celebrating all the designers and offering awards for ‘Best Collection’ and ‘Best Emerging Designer’ (and of course a big party). It was no great surprise that Little Creative Factory (jointly) won the 080 ‘Best Designer’ Award. It was a much-hyped show due to the brand being a well established international Childrenswear label, showing Womenswear for the first time. It was a striking visual performance show from the outset, opening with dramatic spotlighting on a group of ballet dancers with bright yellow sunflower headpieces, who performed a graceful routine on the runway. Throughout the proceeding fashion show, ballet dancers were spattered between models, dressed in collection looks; performing pirouettes and strutting the runway on their points. There was a mixture of large structured hairstyles and huge sculpted wigs worn by both models and dancers. The collection itself used materials such as wool, linen, and neoprene to create elaborate, timeless designs full of detail. The colors were camel and ochre, combined with cream and black tones. Many of the looks featured aprons and overalls symbolizing a past era of work-wear. However, the designs retained a contemporary aesthetic through sharp silhouettes and the use of latex accessories and belts. 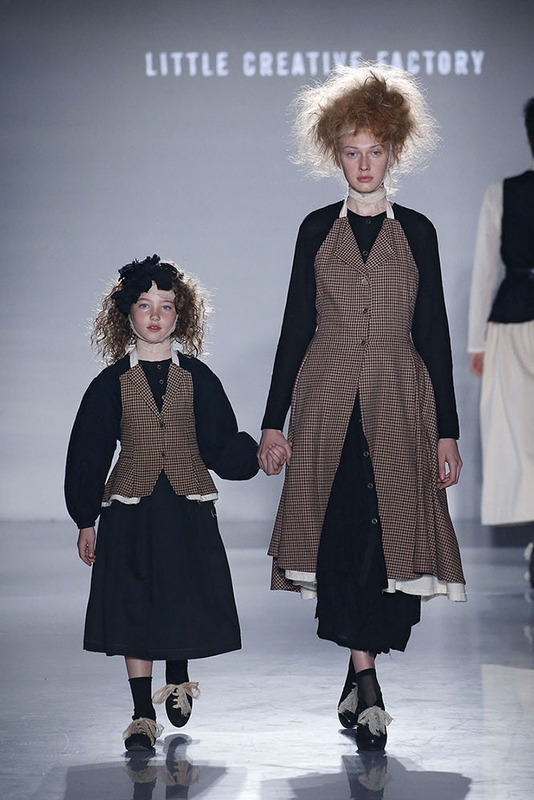 Sporadically children walked the runway accompanied with an adult counterpart in a matching outfit. The designer Cristina Fernàndez closed the show by walking out with her own child to a room full of cheering and applause. It was undoubtedly an unforgettable show! Antonio Miro was the joint winner of the 080 ‘Best Designer’ Award – the label has previously won this award twice in the years 2018 and 2016, it is an established brand having created designs for both men and women for 40 years, however the design team constantly work to target the contemporary market and aren’t afraid to shy away from sensuality. The show was evenly mixed across menswear and womenswear with key looks across both sections, the predominant color throughout was definitely black, with white shirts and several sheer pieces included; as well as blends of leather, silk, and tulle. 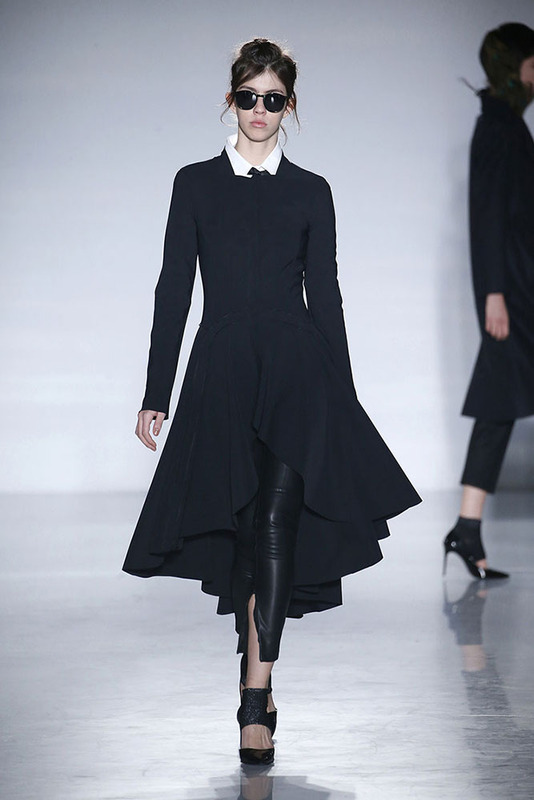 We saw a mixture of seductively cut pieces and sharp tailoring in this show. The womenswear mainly showcased mini dresses or blazers and cigarette pantsuits. Another predominant theme throughout the collection was the use of big shoulders and ruffles, giving us all of the glam-punk 80s feels reminiscent of a Hedi Slimane YSL runway. The winner of the coveted ‘Emerging Designer Award’ was Mans Concept Menswear. 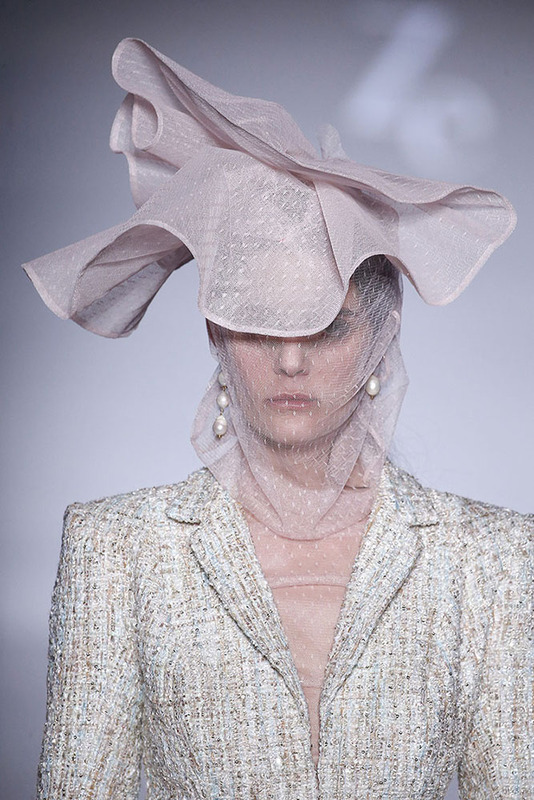 The brand’s Sevillian designer Jaime Álvare has won this award twice already at the young age of 24. This Autumn/Winter 2019 collection was undoubtedly his strongest yet, entitled “Road to Goa”. It continued to showcase his complex pattern designs with bold use of bright colors and mixed textures. Many of the looks featured both hand-embroidered fabrics and laser-cut pieces. Several of the models wore turbans, and there was an instant cultural affiliation through the warm, bright colors and silk textures for the streets of India. The designer states the pieces were designed to recreate a vibrant market atmosphere, saturated with smells and sounds, of crowds bartering. Colors range from land to sea, combining blue, limes, fuchsias and orange shades which was a reference to Indian spices. The flow from tailored suiting to contemporary streetwear and slogan tees was successful, and although the collection showcased a lot of different vibes and styles, it felt succinct. 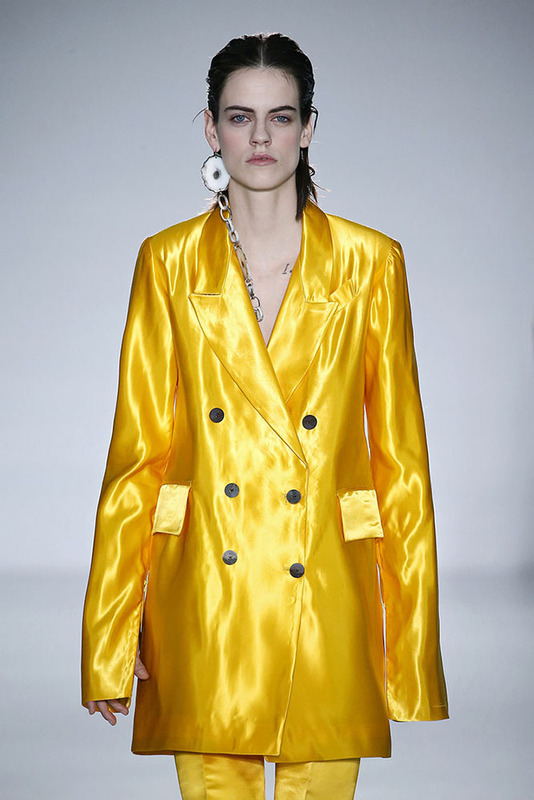 The chunky oversize collar jackets were a highlight, as were the sporty travel bags in the collection’s bright primary color palette. Aside from the award winners, there were several other great shows of note during Barcelona Fashion Week. One of which was, of course, Umit Benan who has been running his very successful eponymous line since 2009, in that time winning multiple awards and taking over as the Creative Director of Trussardi for mens, womens and accessories 2011-2013. In a press conference during this Fashion Week, Umit told us that after previously showing in Milan and Paris, he welcomed the change of location to Barcelona which feels fresh and exciting. 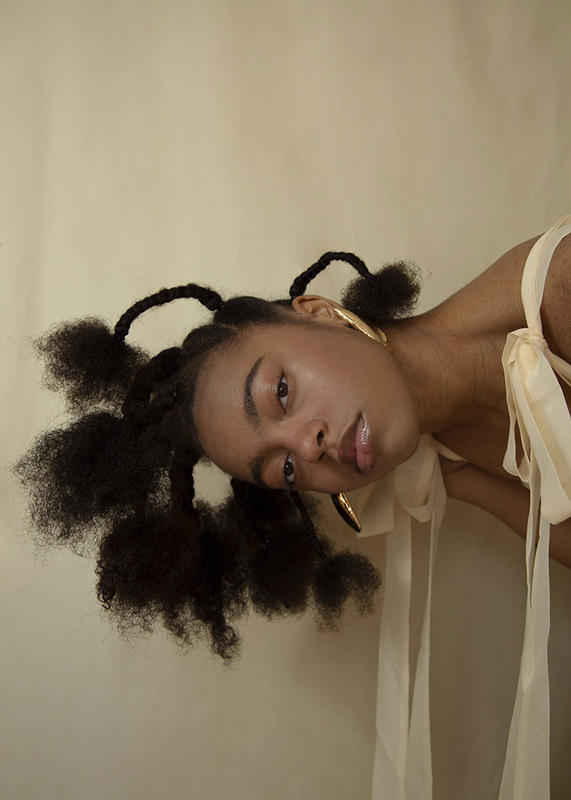 During this meeting, Benan explained the inspiration behind this collection, which is Part 2 of the collective named “God is Black”. Here he represents the controversial character of the black Muslim who faces two forms of racism, featured as a double enemy, in today’s society. He wanted to ensure the collection was complete with cultural signifiers such as the tekke skull hat and the caftan. The show was dramatic and opened with Islamic Prayer calls and models praying on their knees. The runway looks were boldly sartorial combining field jackets, leisure suits, caftans, outerwear, and knitwear. It was clear Benan emphasized a dignity in presenting these men to the world for who they are. 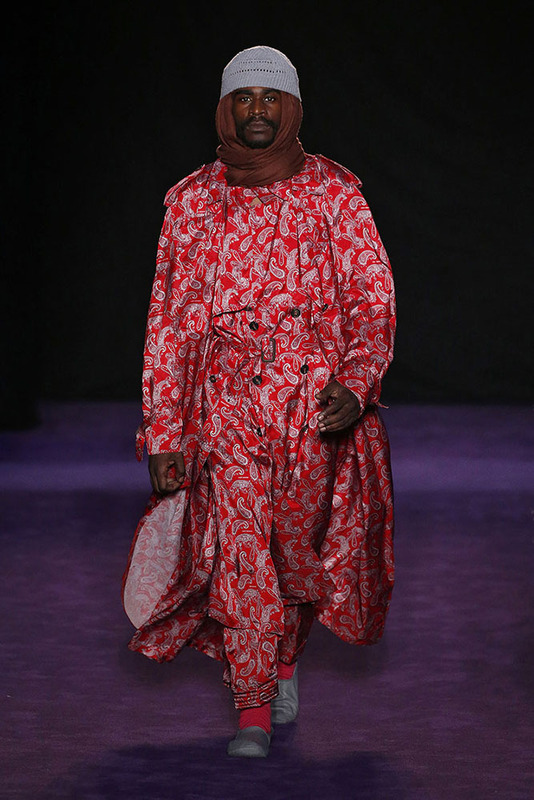 The result was both masculine and spiritual, with a focus on real wearable garments to be worn by everyday men. (Maybe we can exclude the full metallic gold tunic from that). But this was a strong collection for Umit Benan that will undoubtedly do well across territories. 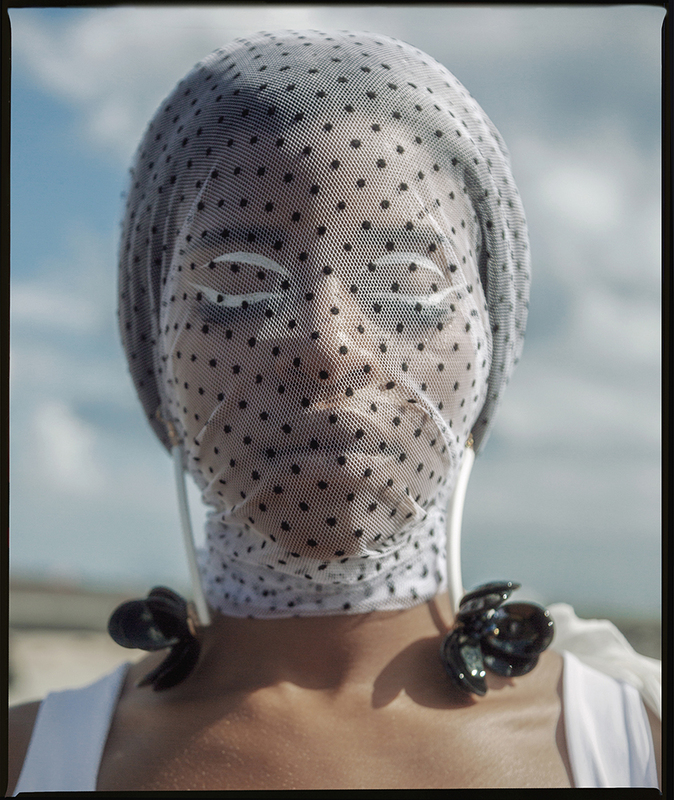 The final show in this roundup is Pablo Erroz simply because it was contemporary, fun, wearable and I personally coveted several of the pieces myself. (The opening look was sporty white denim which is what I was sat wearing at the time!). 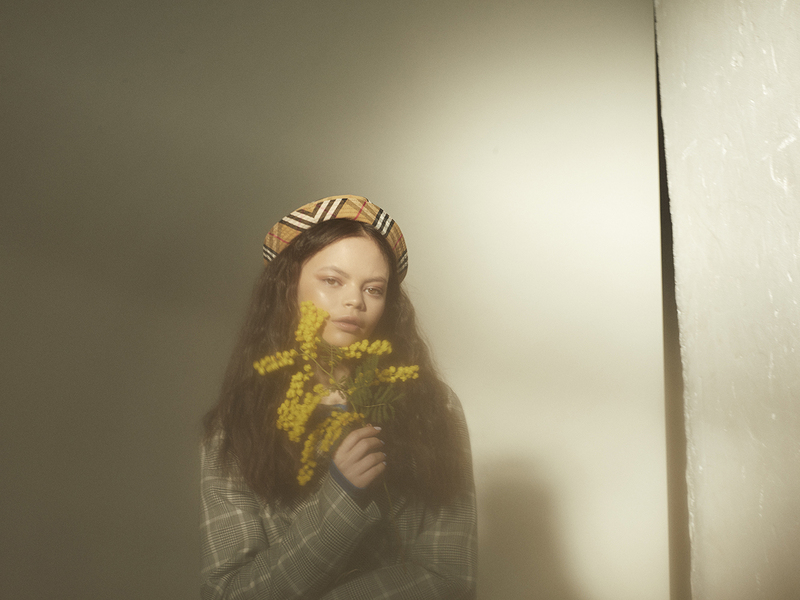 Throughout the show, there was a feel of nostalgia to the late 80s/early 90s, communicated in music and pop culture references – and some very cool printed bucket hats. 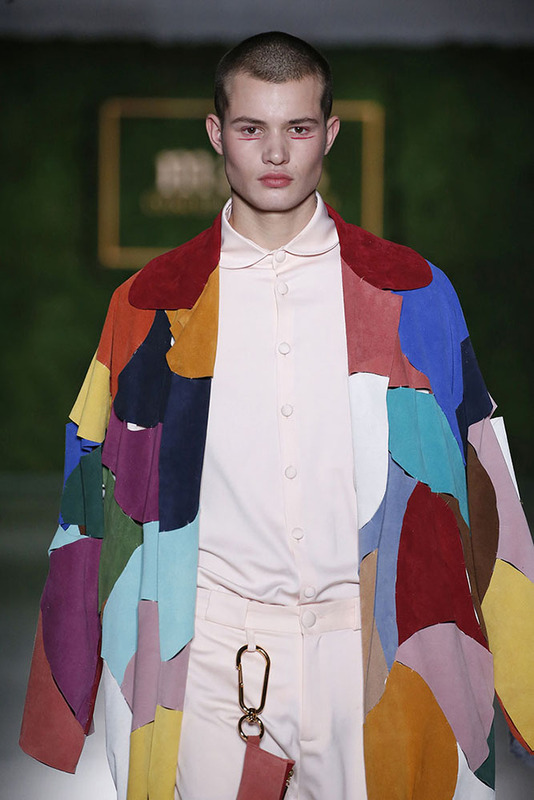 The collection featured relaxed silhouettes, lots of oversize fits and neutral tones combined with explosions of color. There were super cool cross body bags and introductions of leather panels ranging right through to full structured leather bibs. It embodied the modern approach to an all-year-round A/W wardrobe, with clear summer influences. Erroz describes this as a ‘Free way of Living’ and explains the inspiration to be ‘clothes dreamed of during the summer holidays.’ I wasn’t that cool when I was at school, but I’d certainly like these pieces now.